How to download video from arte+7 and arte-tv related sites? Arte is a Franco-German TV network and its share of overall viewing was about 3-4% in France and about 1% in Germany. If the internet connection is too slow to watch arte videos, you might want to download arte videos and save them on your computer to watch offline. Is it possible to save arte.tv video to local disk easily? How to capture or record live streaming videos? If you have any of the above issues, you come to the right place. 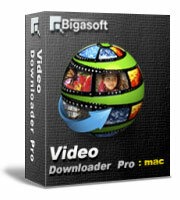 Downloading video from sites like arte.tv is easy with Bigasoft Video Downloader Pro. Acting as an ideal ARTE.TV Downloader, Bigasoft Video Downloader Pro allows you to download videos and music from arte tv related sites and other popular video sites like YouTube, Facebook, Google Video with fast speed and best quality. And the build-in video recorder will make it easy to capture live streamings to MP4 file on Mac and Windows. The following guide will show you step-by-step guide on how to download videos from arte+7 and arte-tv related sites. 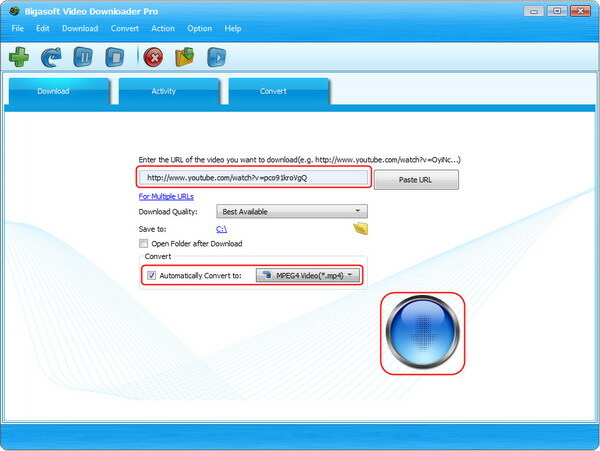 Download and install the ideal ARTE Downloader - Bigasoft Video Downloader Pro. There are two different versions for Windows and Mac users separately. And the two versions are fully compatible with the latest OS. You can just cut and paste webpage URLs containing videos directly to the Past URL box on the main interface of Bigasoft Video Downloader Pro. The URL of arte video will be pasted automatically. You can simply configure a quality and prefered format and the application will make the selection for you. Click "Save Folder" button to choose the destination folder for the downloaded arte video. Click the small triangle to the right of the "Automatically Convert to", a drop down menu will pop up to let you change output format. One-click to download arte videos. From Activity panel, you can check the downloading process. After a few minutes, the video will be downloaded and converted to destination path. Besides, if you prefer to capture live events, please open this guide to find "How to record streaming videos". Batch download videos from arte.tv related sites, YouTube, Facebook, Vimeo, Dailymotion, Metacafe and more than 100 video sharing websites.